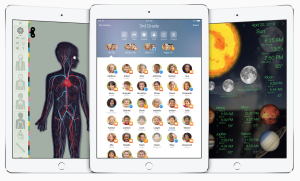 “Students can log in to any iPad in any classroom and make it their own.” This is terrific for small group instruction and for teachers or therapists who work across student groups. One of the things people love about Chromebooks is that you can very easily have multiple users. 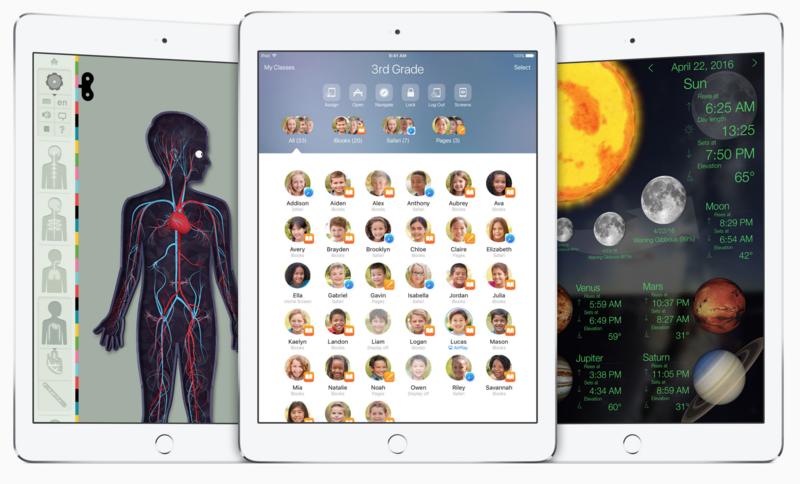 Great to see the iPad get this feature in education. Screen View: Allows you to view a student’s screen. Remote Control: You can launch specific apps for your students. This could be really neat for moving between content such as a text and web content or a video to highlight a vocab word a student might struggle with. You also have the ability to lock students into one app, so you don’t have the Snapchat crew missing the lesson. Share student work on the big screen: Airplay to a screen or projector. Most people have been doing this, but it looks like the teacher can guide this process. Reset forgotten passwords right in the classroom: This is a very, very, very helpful feature! “Now admins have one portal where they can do everything from create Apple IDs to purchase apps to prepare devices for MDM.” This looks like it sets a new standard for Mobile Device Management. There are some new ways to deploy apps that look very interesting, specifically the per device or per user route. “A new kind of ID for education, Managed Apple IDs are created and assigned by the school.” I am still wrapping my head around this, but I am hoping that this does away with some of the complexities regarding managing payment info and student email addresses. Do these new features seem useful to you? Does the new classroom app have your mind racing with ideas?